Manager's Dilemma – To Delegate or Not to Delegate? Delegating not only saves time, but allows you to achieve more and at the same time develop your team. So, it's not a question whether you should delegate, but what is the best way to do it? Delegating is a skill like any other. Although, people sometimes use it just to get rid of an inconvenient task. In theory, it sounds simple – provide clear instructions with a reasonable timeline and you should be fine. According to a global CEO coach, in reality it almost never works that way. You’re often forced to step in at the last minute to save a botched deliverable. And because you jumped in to save the day, employees don’t have the opportunity to learn. They aren’t left to grapple with the consequences of their actions, and therefore are deprived of the chance to discover creative solutions. What’s more, morale takes a hit — employees begin to believe that no matter what they do, their work isn’t good enough. "I have the chance to use my strengths every day." 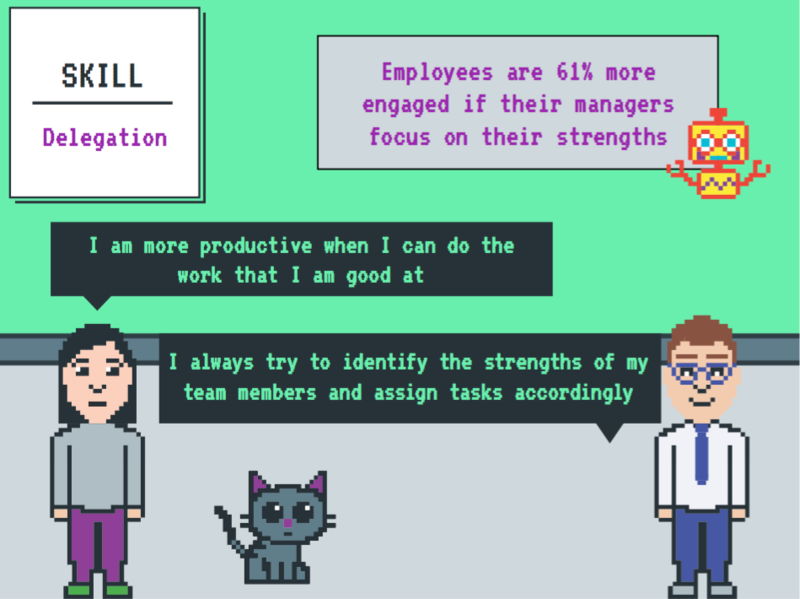 Deloitte, one of the largest professional services network in the world, used the Gallup 1.4 million employee study to see what are the similarities between high and low performing teams. What they found was a simple truth that is essential to delegating. The most powerful characteristic was that the high performing team members felt they are doing their best every day. What did Deloitte conclude from those results? They set out a clear goal: “We want to spend more time helping people use their strengths”. As a manager – are you focusing on that? As a manager you can maximize your team's performance by helping employees identify their strengths. 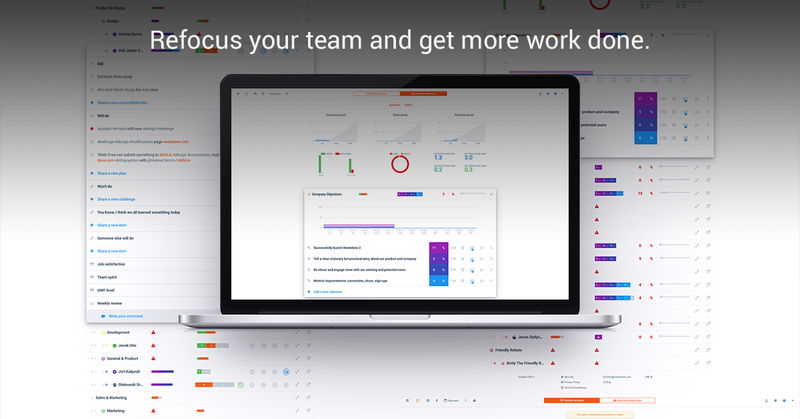 When teams learn and focus on their strengths every day, their productivity produces up to 8% higher growth in revenue per employee. Furthermore, when focusing on strengths 61% workers are more engaged. Trying to fix people's weaknesses when they cannot change is demoralizing and drains their confidence and self-esteem. According to Forbes, you should take time to understand the strengths and weaknesses of the members of your team (and yours, too! ), and keep them in mind as you are assigning projects. If you know someone is a better editor than you are, why not pass along the document you have to proofread? If a team member is admittedly weak in PowerPoint, don’t ask him or her to put together the big presentation. As you learn the strengths and weaknesses of your team, delegating will become easier and less time-intensive. For example, take Cathy and Robert. Their main strengths are totally different. Cathy has a talent for predicting trends and she keeps coming up with new solutions. Therefore, make sure you surround Cathy with people who help them put their visions into motion. Also, keep in mind that she lives for the future. Use that to your advantage, ask questions about the company, project or task, they are happy to provide innovative ideas that help you with your work. Robert on the other hand is a master mindset shifter. Sometimes he is mistaken for a multitasker, but when the pressure is on, he is the one that helps your team to collect themselves and take control of the situation. Therefore, make sure you give Robert short-term assignments that require immediate action and responsibility. 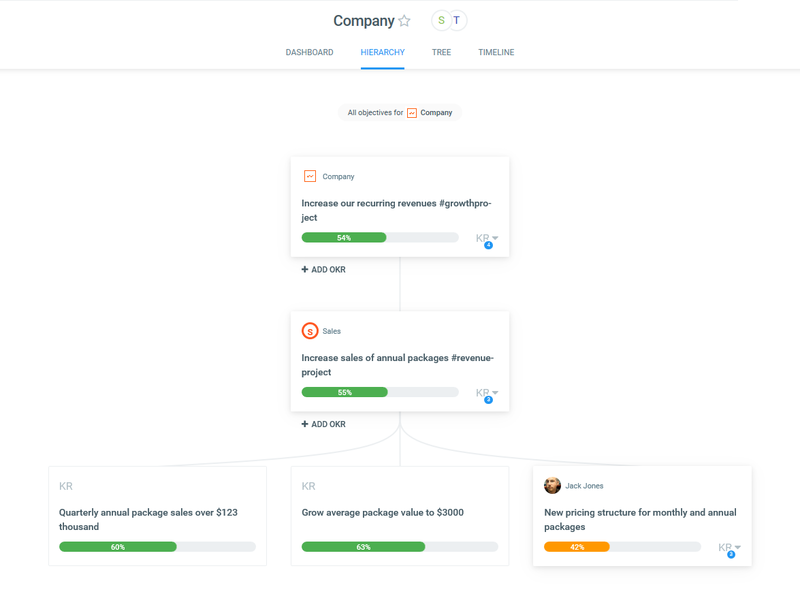 Now that you have learned about the dynamics of delegation, it is time to put your skills to the test. 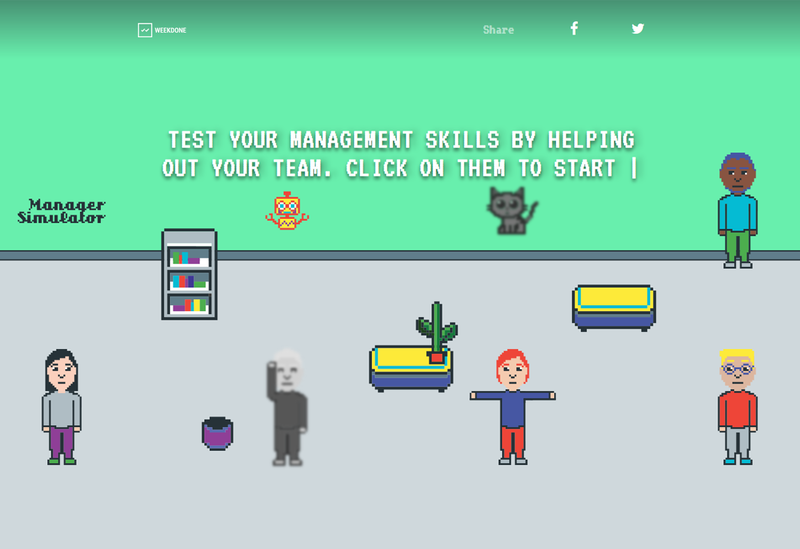 Try out our fun Manager Simulator game – motivate, delegate, set goals and more. Remember to follow us on Twitter, Google+ and Facebook for all about management, leadership, manager and more!